Apple will be launching Apple Music at the end of the month, entering an already crowded market with Google Play Music launching an ad-supported free version yesterday as well. You likely remember that, about a year ago, Apple paid $3 billion for Beats in a deal that was supposed to be a marriage of music super powers. But some are wondering if Apple is too late to the music streaming party. The largest advantage of Apple Music. If you have read this blog for anytime, you know that I tend to be somewhat of an Apple fan boy. I try to be objective. From a brand perspective, however, I really have bought into Apple’s brand. Two tenants of Apple’s brand are innovation and simplicity, and Apple has always innovated by making things simpler. This is where I see Apple Music being able to outpace rivals like Spotify and Google Play Music (and certainly Tidal). How Apple Music fulfills Apple’s brand promise. For most Apple users, any music they have purchased either on their computers, iPads or iPhones has been done through iTunes. iTunes already does a pretty good job in combining streaming radio with a user’s local library. Adding a streaming service may blurs that line to some, but a user does not need a separate application (simplicity). Starting with the original version of iTunes and the iTunes Store, Apple has consistently innovated to make them more integrated, easy to use, and feature rich. Apple’s streaming service marks another innovation to an already solid platform. Apple has sold more than a billion iOS devices. It has created a market for its music service and offers the unique advantage of a family plan with six devices for $15. Spotify currently gives a discount of 50% per devices so six would cost about $35. Further, Apple will be giving users free three-month trials. Unless there are some real problems with the service, once users see how easy and integrated it is, why would anyone go back to Spotify, or any other streaming service? So is Apple late to the streaming music party? Absolutely, but it’s not because it couldn’t do it before. It’s because Apple wanted to do it right. In fact I worked on an exploration AT&T did with the internet when we were at Sawtooth – 1996 maybe?. They always thought just by using their “deathstar” logo – there was enough equity in that symbol alone to give whatever website they were developing credibility. Content didn’t matter as much as their seamless technological presence. Yeah right. I still think the jury is out. Apple certainly does have the marketing power and always do use the “simple” button but I am not convinced that’s enough. They are not really offering anything unique besides possibly price point. 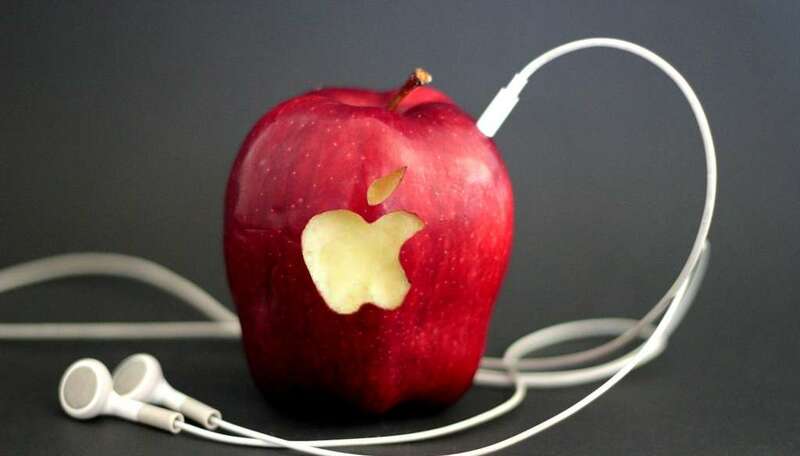 I certainly don’t think “apple” when it comes to streaming music. I also don’t think “Apple” when I see Beats headphones. I think they are reaching into untested waters and I don’t see a Keynote presentation that will sway the general public any time soon.